Walker Windows specializes in supplying, installing and servicing windows and sliding glass doors for your residential housing from start to finish. 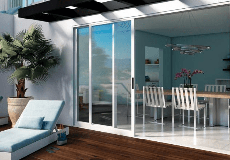 We have been in business working with Aluminum, Vinyl, Wood and Steel windows and sliding glass doors since 2000. Walker Windows works hard to provide a quality turn key window and door package by utilizing our own in house installation and service departments. With multiple sales people, full time Quality Control Inspectors, InstallationMasters™ certified installers and a dedicated Customer Service staff Walker Windows emphasizes a team approach to sales, installation and service to ensure complete customer satisfaction. Our customers benefit from the substantial knowledge and experience of our employees. Our sales, service and installation facility is conveniently located in Anaheim, California to assist you throughout the development of your project.